Back Row: Miss Catherine Grant, Mrs Gillian Greenwood, Mrs Lynn Hoskings, Mrs Tomlinson, Mr Julian Rogers, Mrs Wilson, Mrs Cuthell, Mr Milnes. 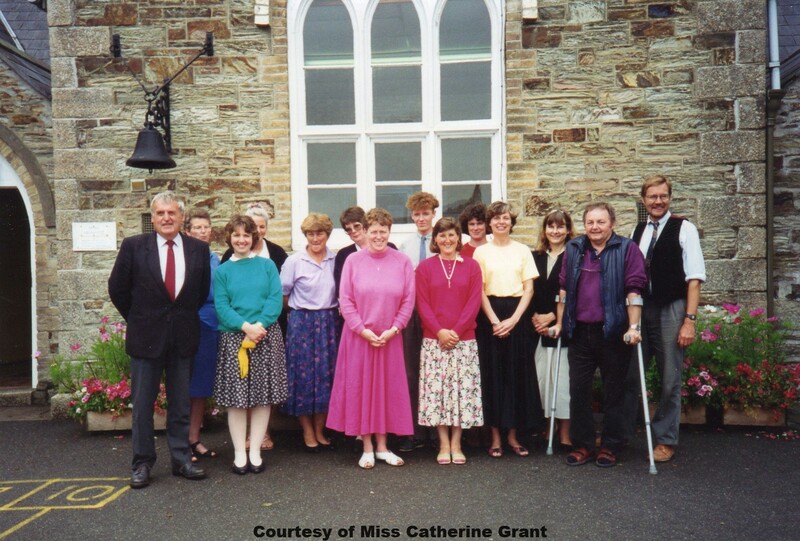 Front Row: Mr Tom Delbridge (Headmaster), Mrs Probes?, Miss Dunn, Mrs Dawn Wiseman, Mrs Karen Tregay, Mr Greenwood. THe unknown in the back row is me – Julian Rogers. I was there completing a teaching practice. Thank you for letting me know, try to get as many names as people remember.